GS1 is a not-for-profit organization headquartered in Brussels, with various offices around the globe. 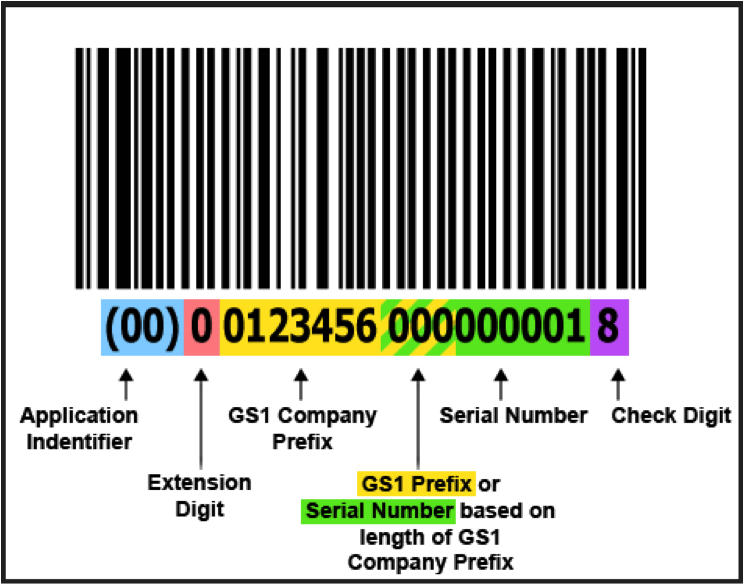 What is a GS1 Prefix? A GS1 prefix is a unique 6 – 10 digit number assigned by GS1 US for a fee. This number is used as a means to identify your business. What are GS1 Prefix’s used for? The most common use of a GS1 prefix is as a basis for assigning UPCs to products, however, GS1 prefixes are also used in EDI. The main function it serves for EDI is as a basis for assigning a unique Serial Shipping Container Code (also known as SSCC18) number to the GS1-128 carton labels you must affix to each of your cartons when shipping as an EDI compliant vendor. Why do you need the GS1 and SSCC18? Why is it required for EDI? How is it used in EDI? The SSCC18 is the number generated by your ASN and will appear on your GS1-128 labels to identify and differentiate the cartons. The SSCC18 must be unique. Using the GS1, a unique identifier for your company, helps to ensure that the SSCC18 will not be used by another vendor. This is the primary reason for retailers to require its use. Repeated SSCC18 labels will cause backups at the point of receipt of goods and will lead to retailer assessed chargebacks for vendors. What is the SSCC18? Why is it needed? The SSCC18 is the number that appears on your GS1 label along with a corresponding barcode. When a retailer receives your carton/pallet they can scan this barcode and it will cross-reference your ASN. By doing this, they will be able to know what is in every box without having to open it, thus streamlining the process and saving time and money for everyone. Do I have to pay GS1 to assign UPCs when purchasing a GS1 Prefix? No. GS1 offers assigning UPCs as an optional service in addition to purchasing the prefix. What is the difference between a GS1 Prefix and a DUNS number? A GS1 prefix is a unique identifier for your business – only you will have that GS1 number. A DUNS number is a unique number that is assigned by Dun & Bradstreet once credit worthiness and financial stability are verified. Is there any way around this requirement? If a retailer requires a GS1 prefix be used in EDI applications there is no alternative. I didn’t need a GS1 for my other retailer(s), why do I need one for this retailer? Some retailers use other methods for keeping SSCC18 barcodes unique or do not monitor for conflicts. Will I be able to use my GS1 prefix for all retailers? Yes. Once you purchase a GS1 number it is yours. You can use it with any retailer who requires the use of a GS1 prefix. I already have UPC codes for my products. Will I have to reassign these numbers once I purchase a GS1 prefix? No. You can continue to use your current UPCs and then use the GS1 prefix for future products. Where can I find more information about GS1? How can I purchase a GS1 prefix?